Perhaps for obvious reasons pertaining to heat, I don’t drink tea until the snow starts to fall. I tried a few weeks ago, and my body pretty much shut down any attempts. 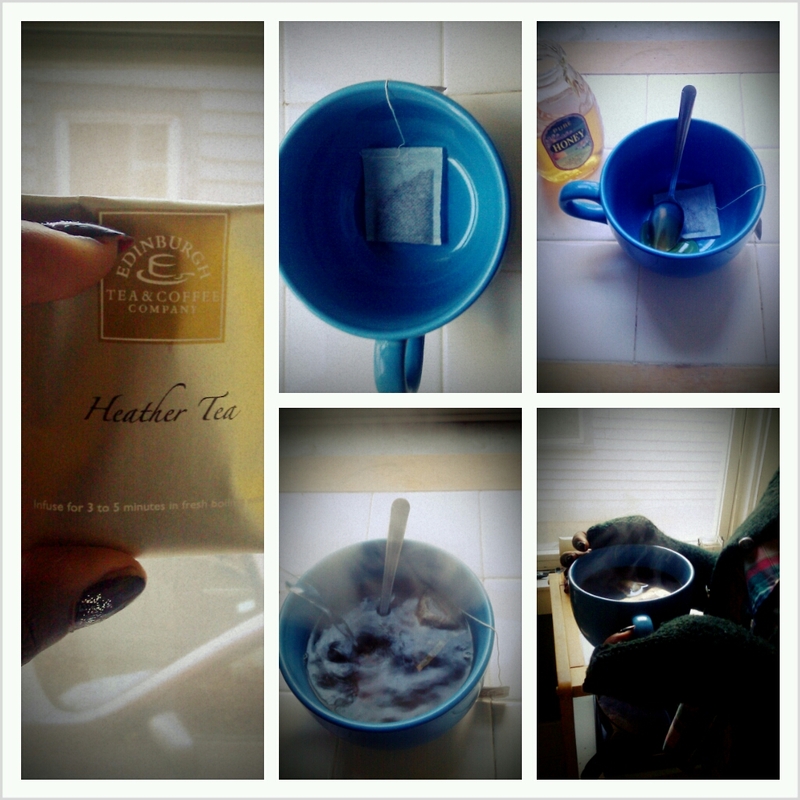 My tongue and throat had no use for the warmth, faint flavor, and honey. (Bad) luck would have it, because Burlington, VT had a mini-flurry storm last week, and yesterday I finally accepted that my trusty circle scarf and cardigan were no match against the dropping temperatures and uptick in wind speed. I went to Old Navy and bought a long down jacket, purchased a small box of tea from TJ Maxx, and decided to see how the body would feel about it. Yankee candle lit and mug in hand, my tummy welcomed the hot liquid with open arms. Goodbye mason jars of flavored water and hello tea. I’m off to Okemo, VT with a friend for a day of frolicking in the mountains and apparently a good bottle of wine.